A pergola is a handsome feature to add to your deck or patio, a structure that allows air to circulate amidst the lattice top, while alleviating direct sunlight. Customize your pergola with more coverage, using one of the shade covers available, of which there are three main types. Custom deck awnings provide sun shades that fit over the entire pergola structure, and can be pulled back to expose the lattice completely, or to partially cover the structure. These are available in motorized or hand-cranked types, the majority of which attach directly to the house or other structure, while a limited selection of freestanding awnings are also available. Pergola shade covers are a second type, which attach beneath the pergola lattice structure, providing a beautiful draping accordion effect under the beams. And finally, pergola covers attach above the lattice work, providing a shade cover that is a largely persistent overhead cover. After renovating our outdoor entertaining space and adding this huge patio area we realized that, despite all of the fantastic new features, we really needed a pergola shade to protect us from the extreme sunshine here in the south. We found ourselves shying away from hanging out in the backyard during the height of the afternoon and early evening hours because the sun and heat was just too much. Especially in the outdoor kitchen area, it was hard to work due to the glare off the stainless steel, not to mention how hot those surfaces would get from the unrelenting sunshine. For this reason, we felt that adding a patio pergola over that area would give us a nice shaded area to hang out during those parts of the day and would also make cooking out back much easier. 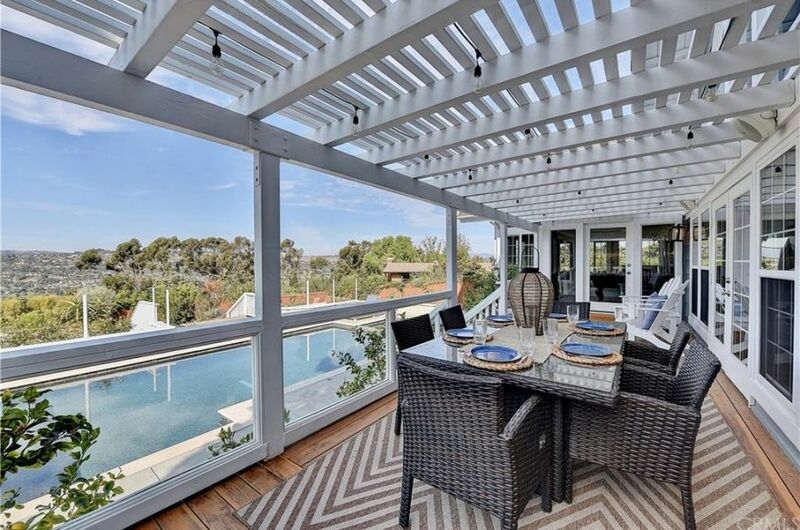 After attending a recent design showcase to check out the hottest landscaping trends for 2019, I am so inspired to replace our patio covers with gorgeous wooden pergolas. I really liked how pergolas create an architectural showpiece that gives the yard a more upscale look. 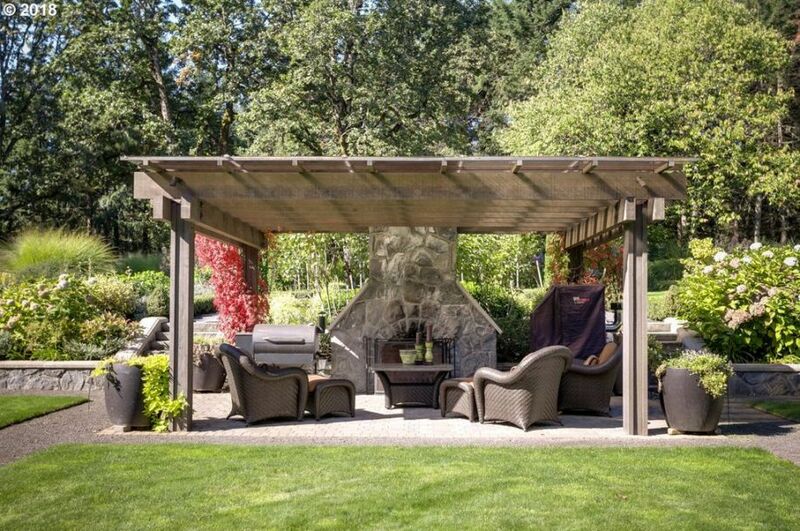 Even better, I find pergola designs to be much more functional and multipurpose than your typical canvas patio covers because they can be used for shade, as an anchor for vines and other greenery, as well as to portion off various zones for entertaining. I really like how this home added multiple pergola covers throughout their outdoor living areas. Adding an outdoor pergola to your backyard is a great way to update the space without spending a ton of money or time. 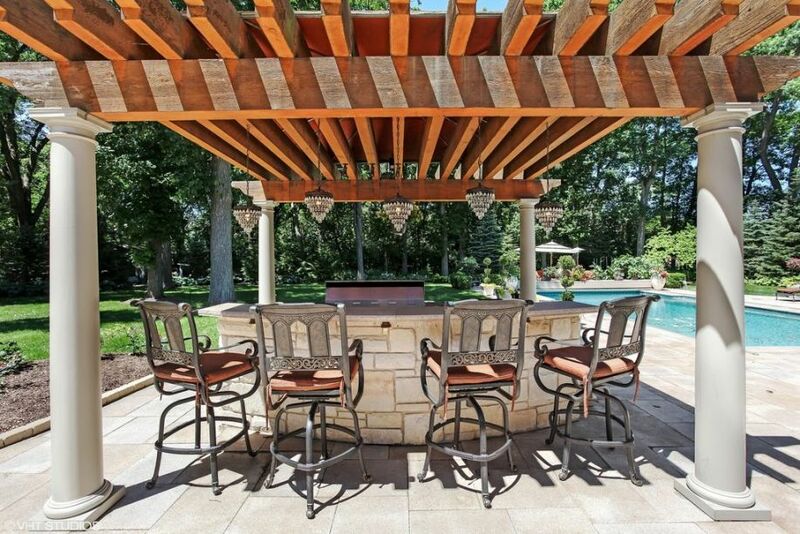 These architectural features provide shade from the sun as well as section off larger entertaining spaces to create more intimate areas for dining and conversation. They are especially fantastic to have next to a pool or over an outdoor kitchen because they can provide some relief from the sunshine as well as give a shaded area to cook and dine. A pergola attached to house can also help to direct traffic flow to different areas of the backyard as needed. They create a natural pathway between major focal points or entertaining spaces, and can also provide a lot of decorative interest to otherwise barren areas. 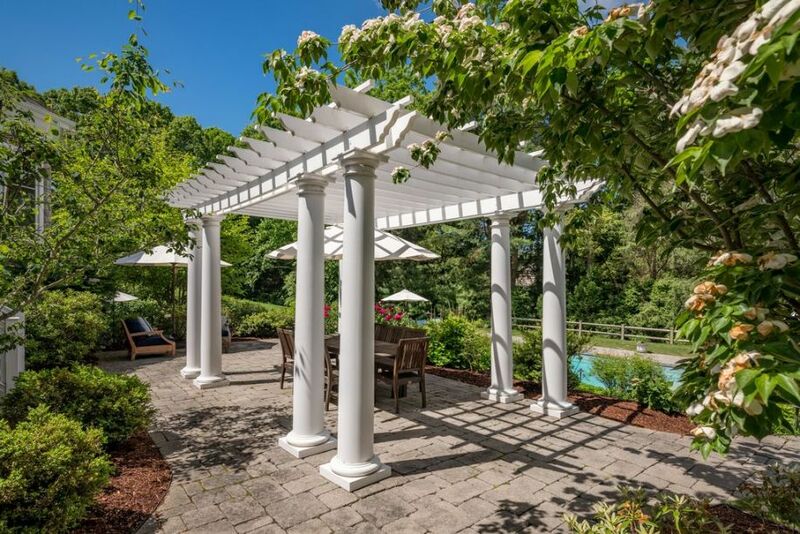 A pergola with roof is such a good addition to any backyard entertaining space or pool deck because it provides a dedicated shaded area for lounging and entertaining. I find them to be especially important next to a large pool because you and your guests need a cooler area to get out of the sun in the middle of the day. Not only do they serve a great purpose, but I think that they add such a great area of design to play around with. My favorite pergola ideas are those that mimic or enhance the existing architecture of the home or backyard patio. My biggest pet peeve in home design is when major design or structural elements have contrasting styles (not in a decorative ways). I love a backyard pergola like this one that blends in effortlessly with the landscaping and patio area. This rustic design looks perfect alongside the large stone fireplace, patio paver flooring and cozy furniture. The weathered wood and simple lines of the design elevate the look of the entire space, rather than distracting from the great decor they already created. Even better, the addition of the canvas pergola canopy leaves you completed sheilded from the elements such as rain and sunshine. In addition, it traps the heat from the fireplace inside of the entertaining space to keep you warm during chilly fall and winter seasons. This feature makes the living space so much more versatile and functional.